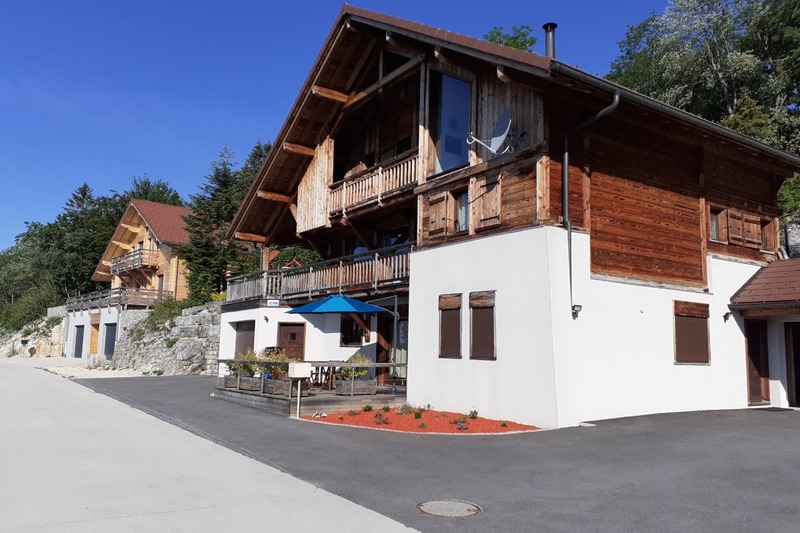 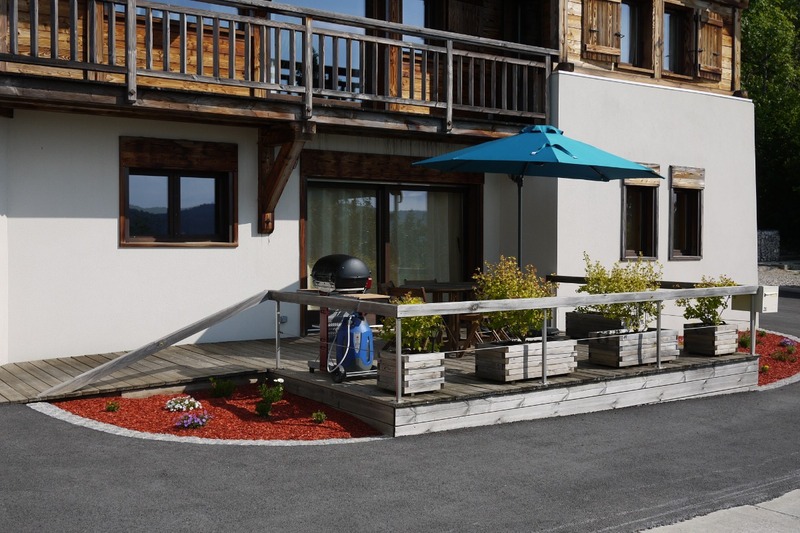 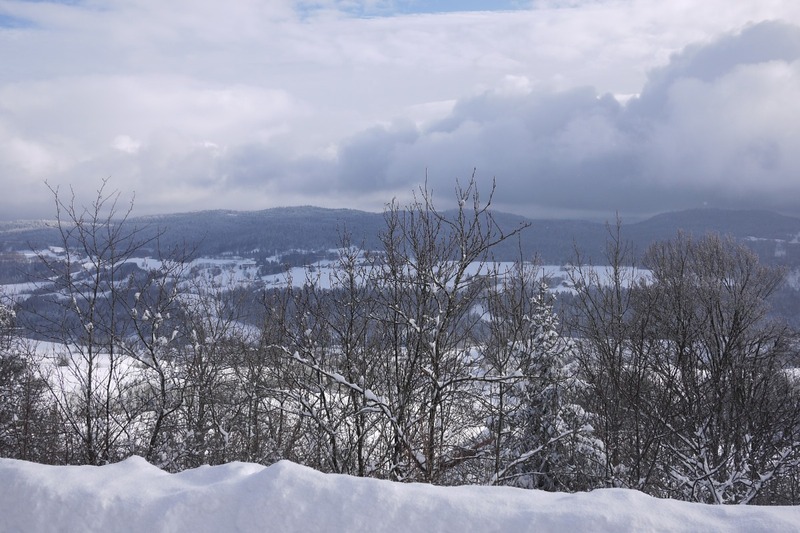 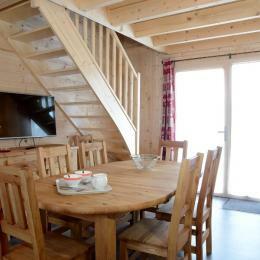 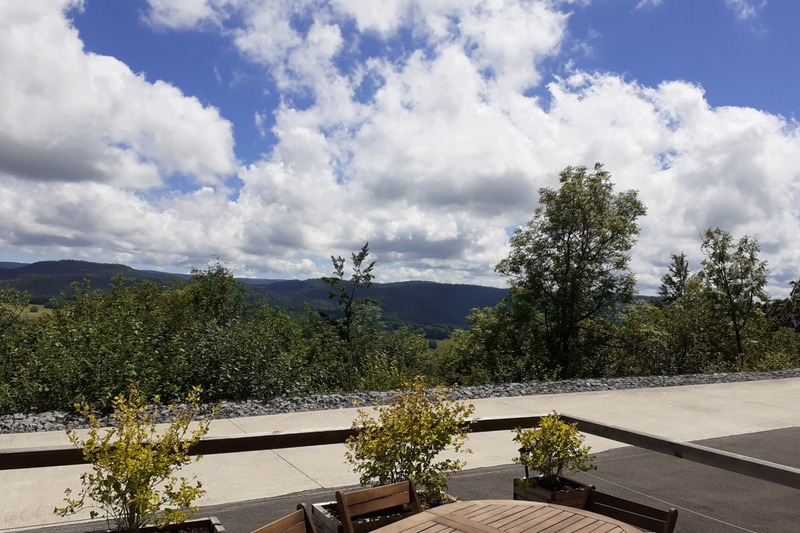 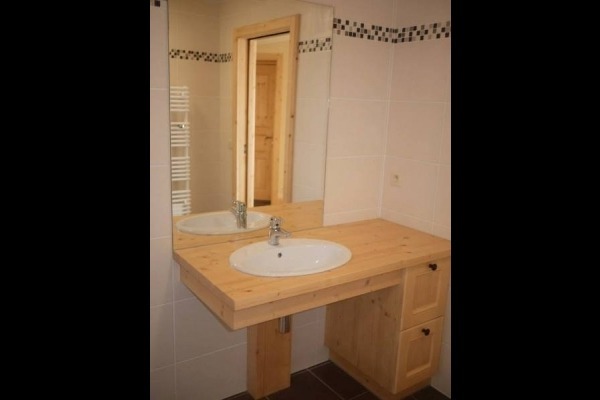 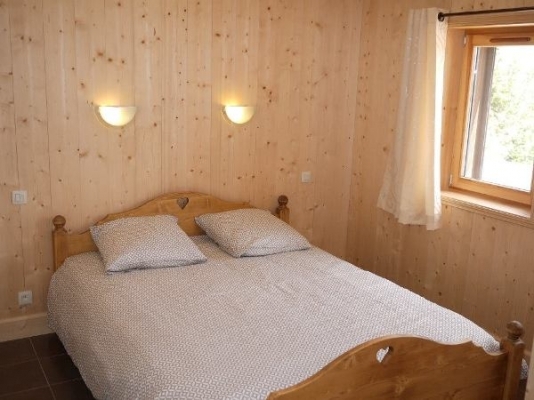 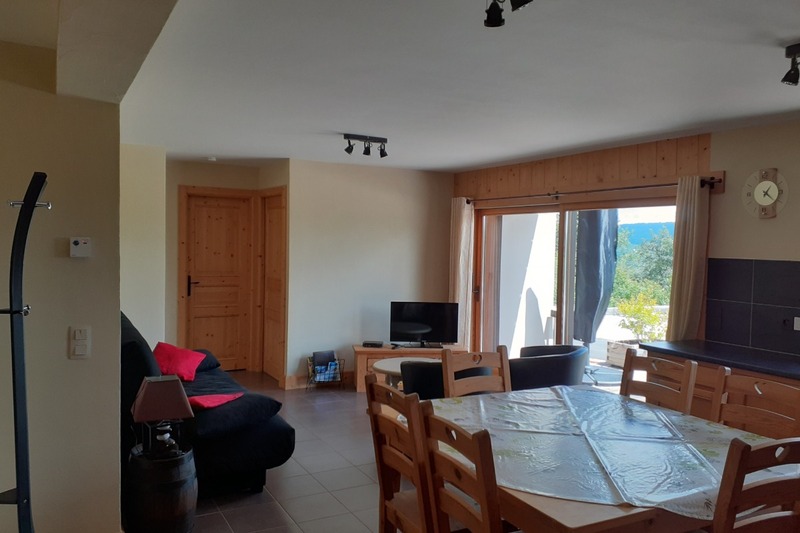 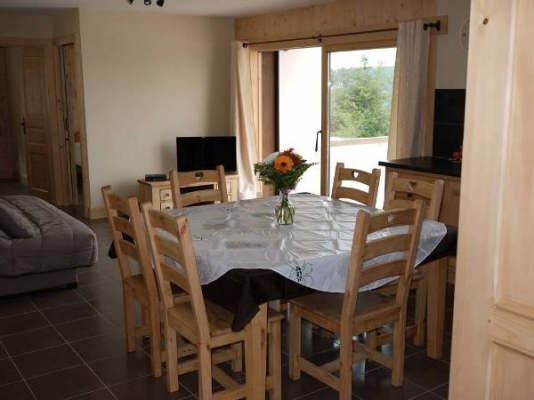 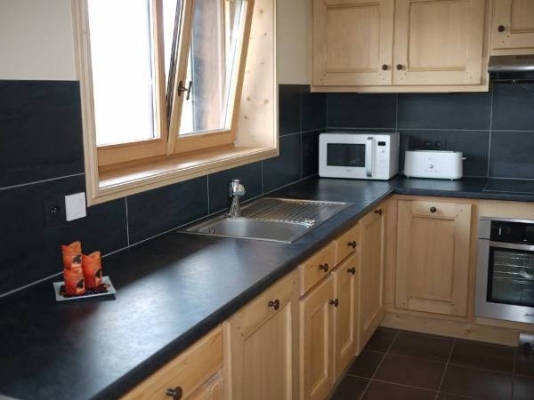 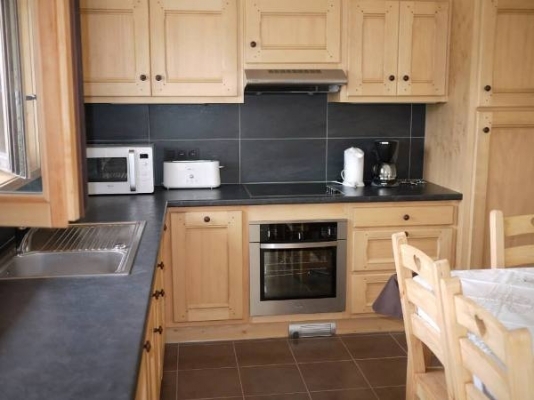 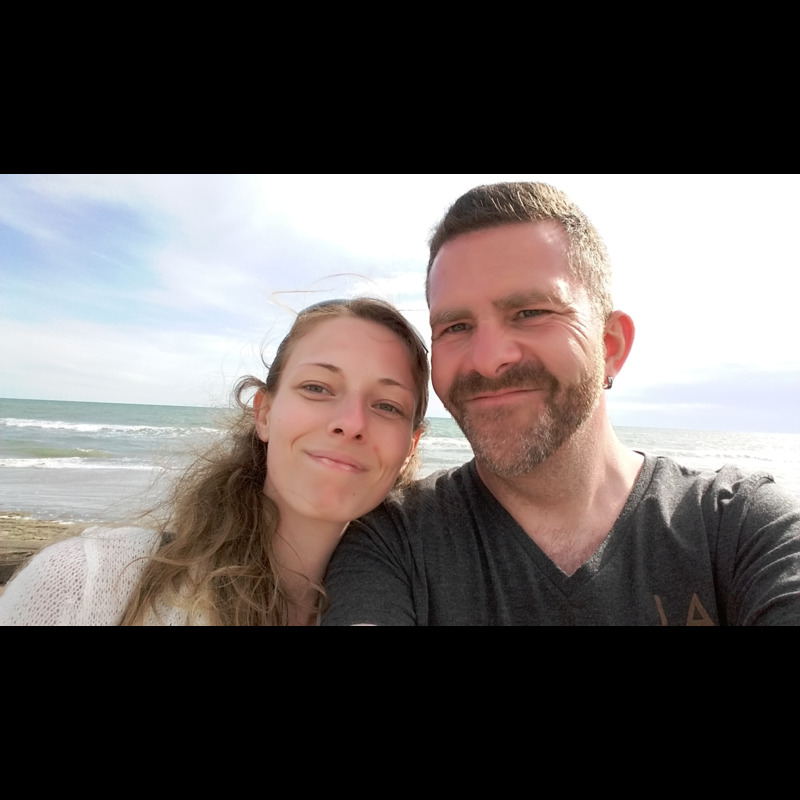 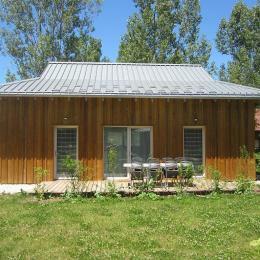 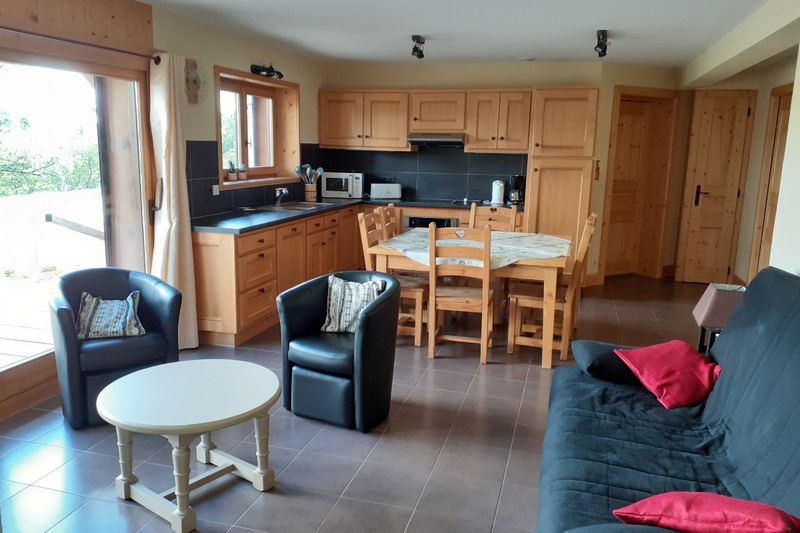 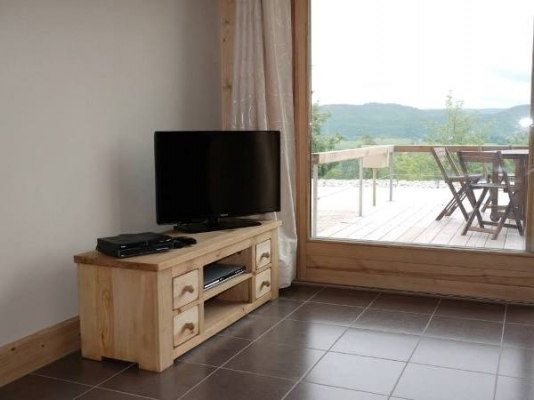 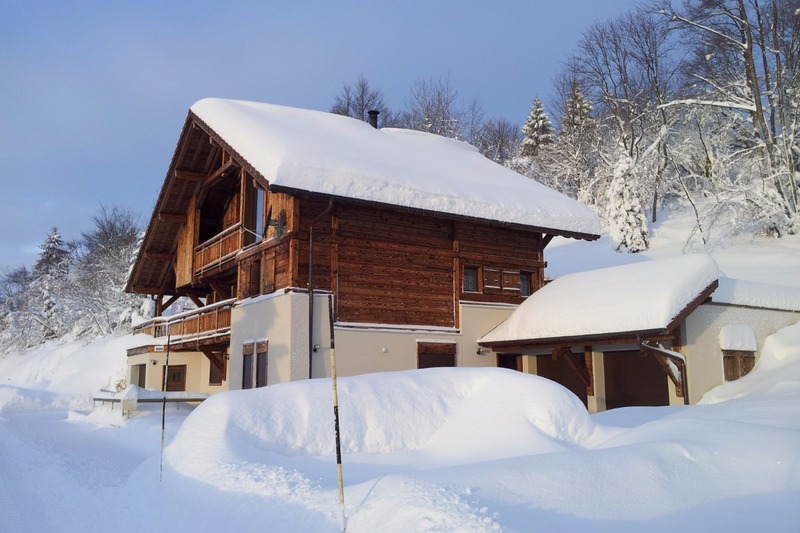 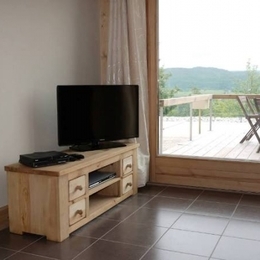 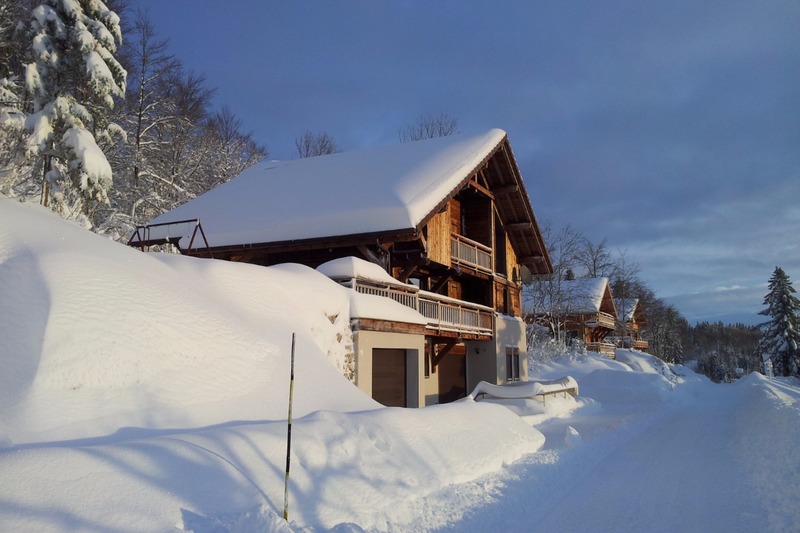 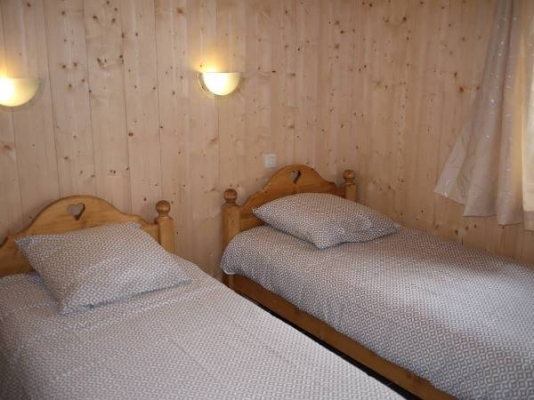 It is in a new chalet located on the hills of the High Foncine typical mountain village in the Parc Naturel Régional du Haut Jura, Audrey and Marc welcome you to their cottage comfort and accessible to persons with disabilities. 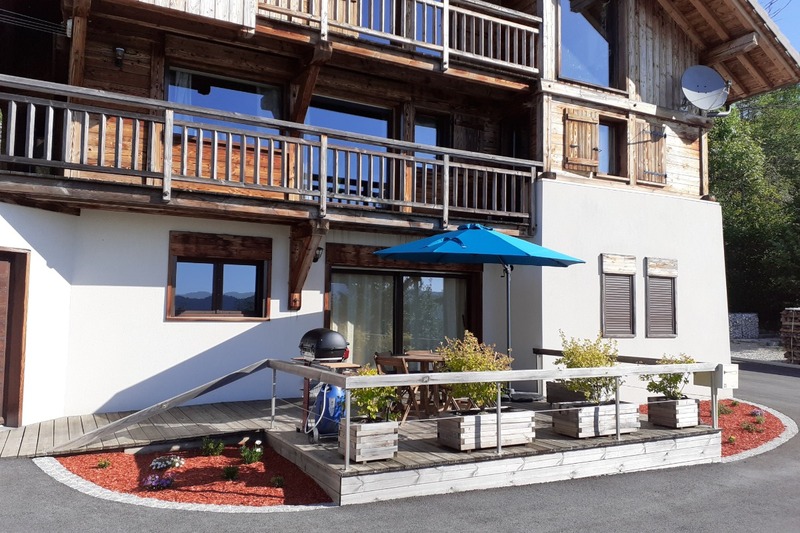 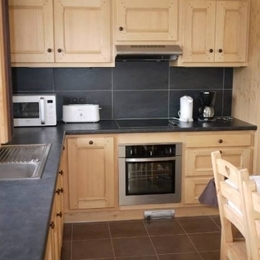 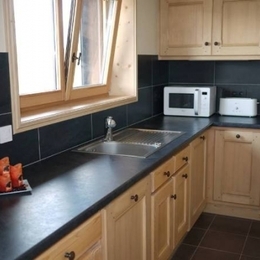 Apartment on the ground floor of the chalet owners including: Separate entrance, fitted kitchen (dishwasher, oven, microwave, ceramic hob, fridge) / lounge (flat screen TV, DVD player, 1 convertible 1.60m) two bedrooms (bedroom 1: 1 bed of 1.60m; ch2 2 beds 0.90m), bathroom with toilet (walk-in shower), laundry (washing machine), private terrace with garden furniture and barbecue, private garage. 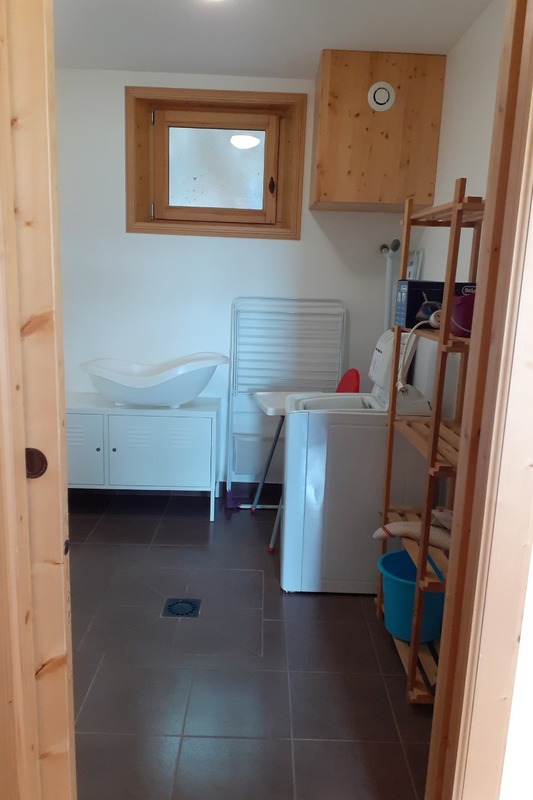 Baby equipment on request (free of charge), linen rental on request (8 € / bed), end of stay cleaning fee on request (50 €).